Visiting hours are best daily in the early mornings and late afternoons; summer 0600 to 0900 and 1700 to 1830, winter : 0800 to 0930 and 1600 to 1700. - BY APPOINTMENT ONLY. 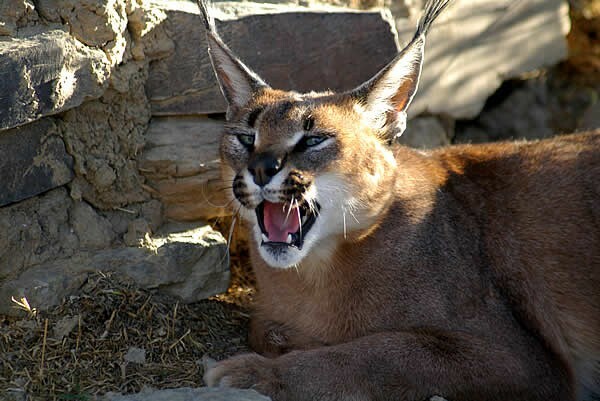 The caracal is medium sized, wine-red, grey or sand coloured with black marks above the eyes and long, tufted back ears dominating a striking face. It can leap high to catch bird prey. Unfortunately, it is persecuted by livestock farmers because, when there is a lack of natural food, it will take livestock. 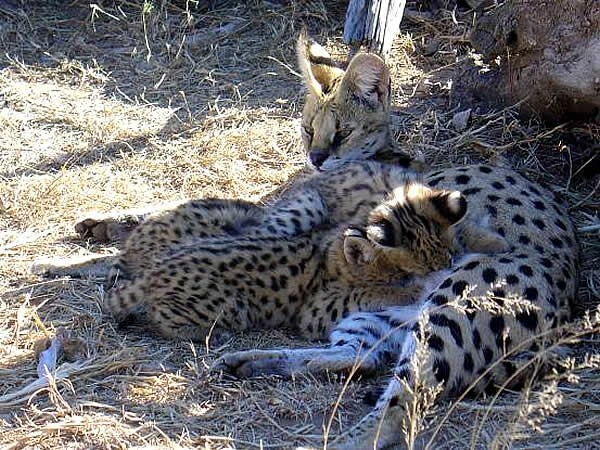 The very strikingly beautiful Serval has the largest ears and longest legs of the cat family, relative to body size. They are tawny or pale gold. The tallest of the smaller cats, it jumps amazingly high to seize its prey. This cat is sandy brown or grey with distinctive orange ears and black strips on the tail. This, the ancestor of the domestic or house cat, is not a particularly shy creature. Interbreeding with domestic cats has, however, caused a severe decline in the numbers of the pure strain but the Cat Conservation Trust has the real thing! 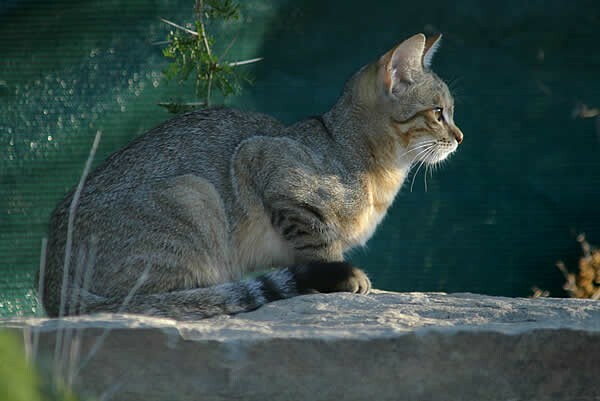 We have breeding African Wild Cats in our collection. 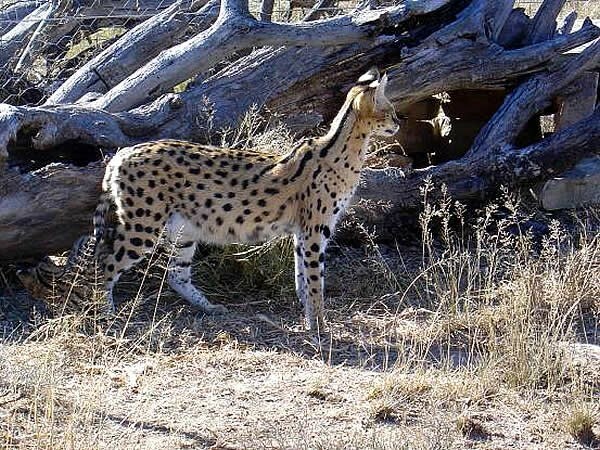 This cat’s body is marked with dark lines and spots with black bands on the legs and the feet have black soles.The Afrikaans name for this cat translates to "Anthill Tiger". 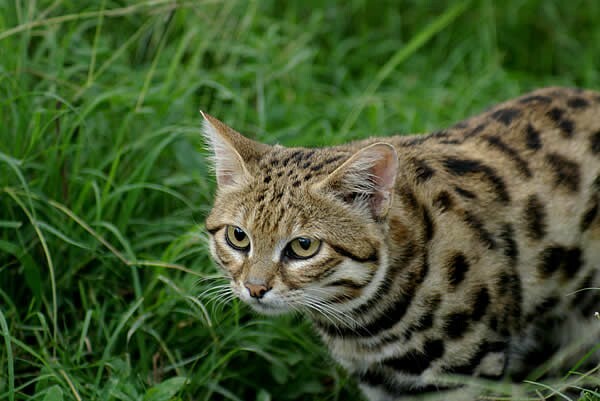 This beautiful cat is very shy and small but a ferocious killer of its prey. 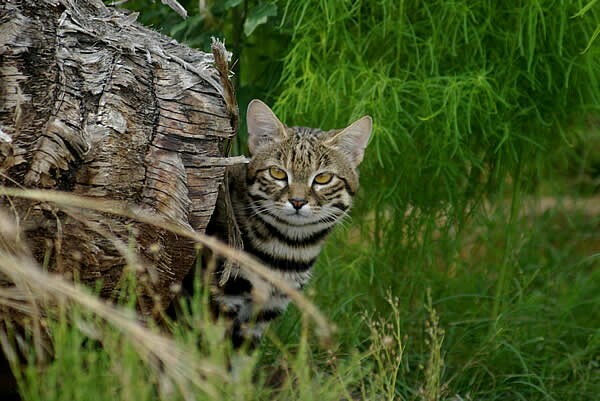 There are also breeding Small Spotted Cats at the Cat Conservation Trust. 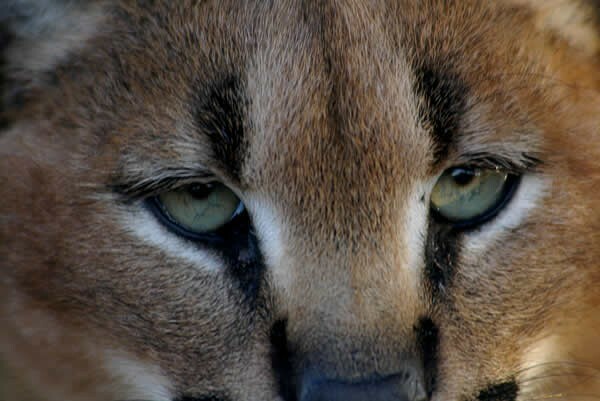 The Caracal, Serval, African Wild Cat and the Small Spotted Cat are naturally nocturnal and, in general, extremely shy. The chances of seeing them in the wild are very slim so visit the Cat Conservation Trust to see some of these beautiful creatures. 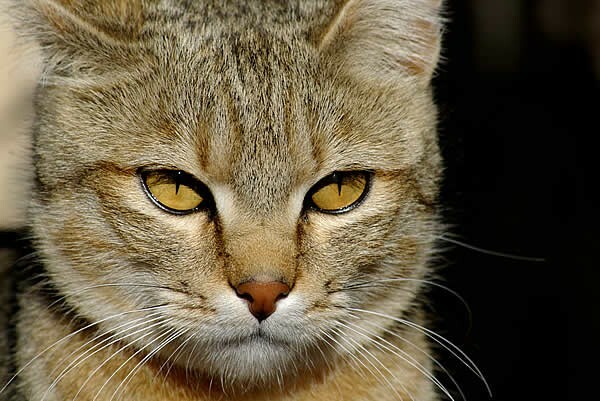 Come and get a guaranteed sight and photograph of these rare wild cats of Africa! Visiting hours are best in the early mornings and late afternoons; summer 0600 to 0900 and 1700 to 1830, winter : 0800 to 0930 and 1600 to 1700. - BY APPOINTMENT ONLY. Caring for these animals in captivity requires special knowledge and unusual care. Their natural environment has to be mimicked which includes mental and physical stimulation. No experiments are conducted on these animals whatsoever. We are situated 60 km north west of Cradock in the Great Karoo. From the R61 between Cradock and Graaff-Reinet take the Aloedale / Fish River Station turnoff off onto a gravel road. (The Aloedale turnoff is 50 km from Cradock on your right and 90 km from Graaff-Reinet on your left).